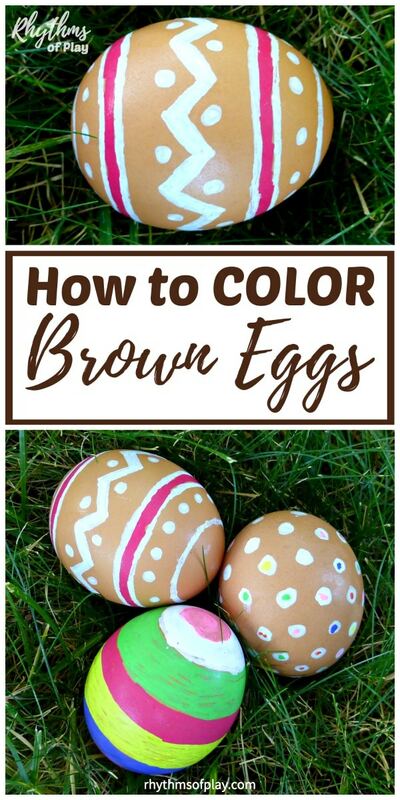 Can you color brown eggs? Yes! 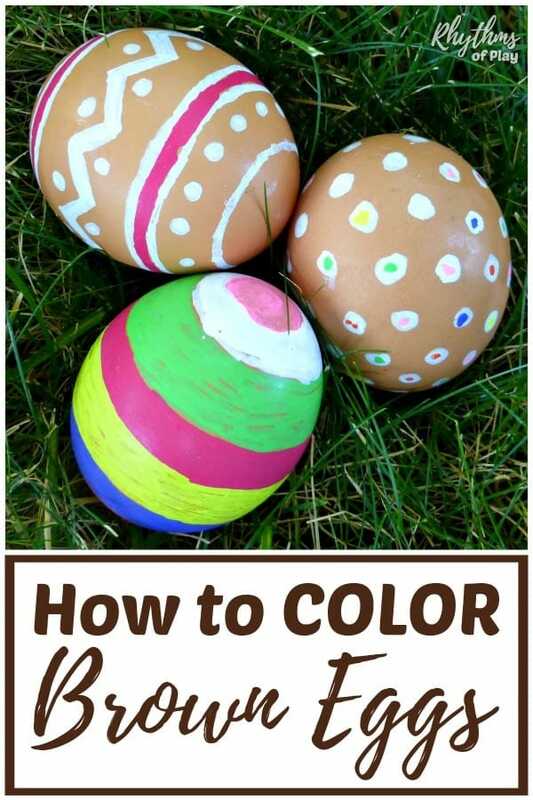 Learn how to COLOR natural brown eggs for Easter with this super easy Easter egg decorating hack. Color brown eggs to make it easy for the kids to spot natural eggs on Easter egg hunts. Colored natural brown eggs also look beautiful in Easter Baskets. 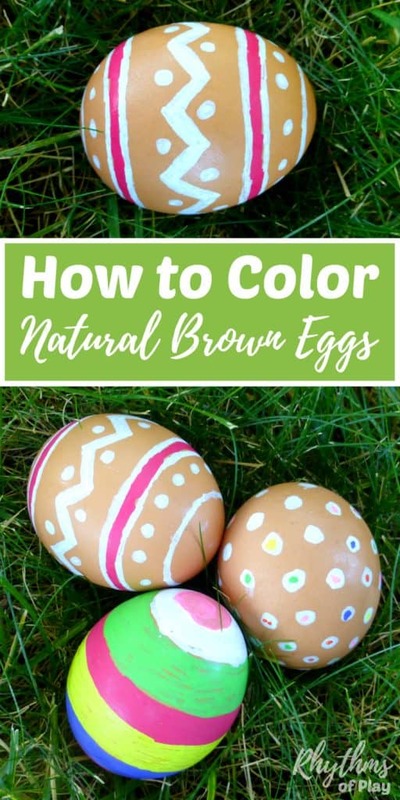 Have you ever been able to color natural brown eggs for Easter? Until I figured out this Easter egg decorating hack I was never able to decorate or dye brown eggs for Easter. They just never turned out as nice as the white ones do. The natural brown Easter eggs found on Kaley Ann inspired my version of this creative twist. She used a white non-toxic paint pen to make some gorgeous eggs. White looks spectacular, but kids love to color eggs… so we decided to use colors! They were super easy and fun to make. 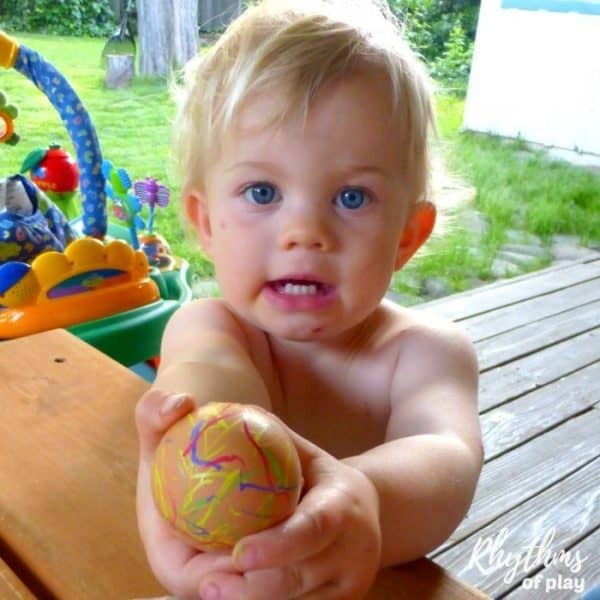 Decorating natural brown Easter eggs with paint pens is so easy even my one-year-old could do it! This is our favorite way to hard boil eggs without cracking them! Give the natural brown hard-boiled eggs time to cool completely before using paint pens to decorate them. Step 3 – Grab paint pens and get creative decorating Easter Eggs! It’s really fun and easy to use extra fine tip paint pens to decorate Easter eggs with children. Our favorite paint pens are water-based, non-toxic, and super easy to use! Tip: Place eggs in an egg carton to make it easy for toddlers and preschoolers to color them with paint pens. To get started, place an egg in a carton and start drawing on it. Don’t forget to allow it to dry before flipping it over to paint the other side. 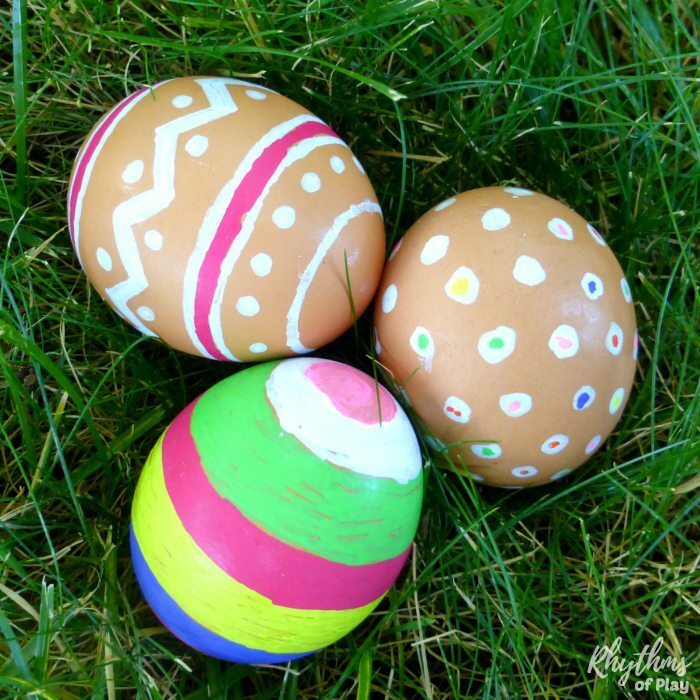 Use paint pens to color natural brown eggs with color for Easter. They look gorgeous in Easter Baskets and are easy to spot on Easter egg hunts. Try this simple Easter egg decorating hack with the kids today. It’s so easy even a toddler can do it! Have you ever wondered how the Easter Bunny, Easter Eggs, and Easter Baskets came to be associated with Easter? Pop on over to learn a few interesting theories we uncovered in Easter Traditions to Start with Your Family. You may also like watercolor surprise Easter egg art and this collection of Easter Art Projects Kids LOVE! These are beautiful – and so simple! Where did you find/what brand are the non-toxic paint pens? These look amazing! We will try it for sure! Very simple, and very beautiful!